2K has also announced a pre-order camapaign that gifts guns, goodies and the fifth, Mechromancer class - the one the "girlfriend mode" outburst was about. More on the pre-orders below. Borderlands 2 Lilith cosplay! It complements the news like a kiss on the cheek. "These four add-on content campaigns will each feature several hours of gameplay and introduce new adventures, allies, enemies and environments," the 2K press release promised. Each DLC pack will cost $9.99 on PC and PS3 (no £ or € available yet), and 800 Microsoft Points (£6.80) on Xbox 360. 2K will also offer the option of buying the four DLC add-ons in bulk with a Season Pass. This costs $29.99 on PC and PS3, and 2400 Microsoft Points (£20.40) on Xbox 360. Buying all four DLC packs without the Season Pass would cost $39.96 on PC and PS3, or 3200 Microsoft Points (£27.41). Dare you risk shelling the money out upfront? 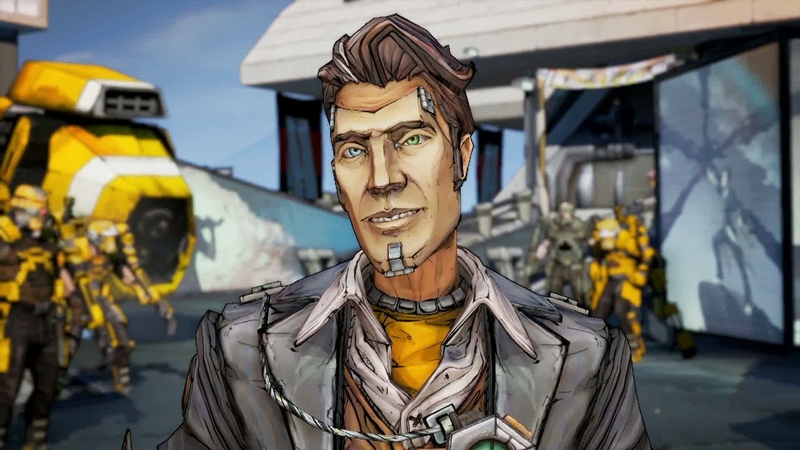 Well, Borderlands 1 had great DLC - some of the best ever made. Quick recap: The Zombie Island of Dr. Ned (8/10), Mad Moxxi's Underdome Riot (8/10), The Secret Armory of General Knoxx (9/10) and the not-quite-as-good Claptrap's New Robot Revolution (6/10). Let's hope Gearbox can reproduce the same kind of DLC form. Back to pre-orders. Pre-ordering either the Standard Edition or the Deluxe Vault Hunter's Edition grants you access to the Borderlands 2 Premiere Club. When you're in the Premiere Club you can download the Gearbox Gun Pack, the Vault Hunter's Relic (boosts gear-hunting fortune), a Golden Key (unlocks Golden Loot Chest in Sanctuary) and the Mechromancer class. The pre-order campaign's honoured at GAME, HMV, Play, Amazon, ShopTo, Blockbuster and The Hut.